Winner of the COA’s 2013 Optometrist of the Year Award. Dr. Tommy Lim was named by the California Optometric Association as it’s “Optometrist of the Year for 2013”. The nomination criteria are public service outside of Optometry; service to the visual welfare of the public; service to optometry; service to the California Optometric Association. 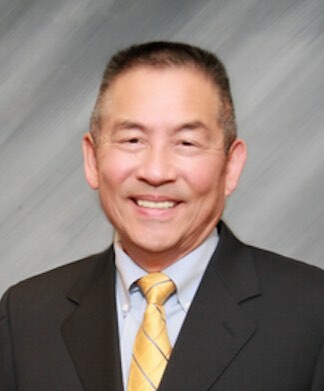 A graduate of the Illinois College of Optometry, Dr. Lim is an active member of The American Optometric Association, California Optometric Association, Santa Clara County Optometric Society and the Magellan Optometry Group. Dr. Lim is the 2013 Optometrist of the Year in California, a past recipient of the Young Optometrist of the Year award in Santa Clara County, the Young Optometrist of the Year in California, as well as the Optometrist of the year in Santa Clara County. He has also served on the San Jose Mercury News Reader Advisory Board. Being very involved in his profession, he currently serves on the Primary Eyecare Network Advisory Board and has served as the Director of Legislative Affairs for the Santa Clara County Optometric Society for over thirty years. Dr. Lim also serves on the Alumni Council of the Illinois College of Optometry, his alma mater. In his career, he has also served as the Northern California Political Activities Coordinator for the American Optometric Association Political Action, the Board of Trustees of the California Optometric Political Action Committee and the California Optometric Laser Associates. Growing up in San Francisco, he takes special pride in being named to the Board of Directors of the Chinatown Community Development Center, an organization that develops and manages affordable housing in San Francisco. In June of 2016, Dr. Lim coordinated the first ever Vision Service Plan Mobile Clinic Project in San Francisco’s Chinatown. The Vision Service Plan Mobile Clinic travels around the country, providing vision care to those living in underserved and ravished communities around the country. Two hundred low-income members of the community, primarily senior citizens, were helped that weekend with eye exams and glasses. Dr. Lim was named to the 2013 Optometric Business Innovators List in the Digital Media category by the Review of Optometric Business. He was also awarded the American Optometric Association (AOA) Political Action Committee Representative of the Year Award in 2004 and 2005 at their Congressional Conference in Washington, DC. He was selected because of his commitment to the profession, both locally as well as nationally. Well respected in the profession, Dr. Lim has worked with the San Jose Sharks, providing eye care during their annual physical exams in the beginning of the season. He has served on the National Hoya Visioncare Practitioners Advisory Panel, has participated in panel discussions with other doctors on wavefront technology in eye care and the iZon High Definition Lens at the International Vision Expo West in Las Vegas (one of the largest meetings of optometrist in the country) and lectured to local optometrists on the effects of eye fatigue while using the computer and how it is treated. He has been a guest speaker at the American Optometric Student Association Western Regional Conference at UC Berkeley and the Illinois College of Optometry. The doctor is involved in mission projects to Thailand with his church and has participated in Project Homeless Connect in San Francisco, where he has provided vision care to the homeless. He has also written articles on his experiences in Thailand, as well as helping the homeless, which was published in the CA Optometric Association Journal, the Primary EyeCare Network Newsletter and the Illinois College of Optometry Alumni Newsletter. Learn more about Berryessa’s Community Outreach efforts. Prior to the Super Bowl in January 2008 Dr. Lim was interviewed by reporter Rob Artigo of radio station KGO of San Francisco on the relationship between high definition television and the iZon high definition lenses. See these and other interviews with Dr. Lim. He has been married for over forty years and has two adult children. Dr. Lim is an active member of the First Chinese Baptist Church in San Francisco, serving as a deacon and participating in the church choir. He and his family are avid sports fans. In 2010 they packed up and traveled to Vancouver for the Olympic Games, sporting USA pride!